The PKI 9845 is designed for protection of targeted people as well as for ordinary staff, handling suspicious mails. As postal bombs, whether real or imagined, are an omnipresent problem, the identification of such suspicious items in the daily mail is vital. But even when this is successfully done, there still remains the problem of how to minimise the danger to personnel and property. For this the PKI 9845 offers the right solution, as it is specially developed for this purpose and being the most cost-effective product in the world market. It is already in use at many government departments, police stations, EOD-teams and other large industrial companies worldwide. The container is designed to retain any suspicious item of mail in an upright position. An internally fitted net holds the item in such a position that removal, X-Ray scanning and controlled explosion remain possible. 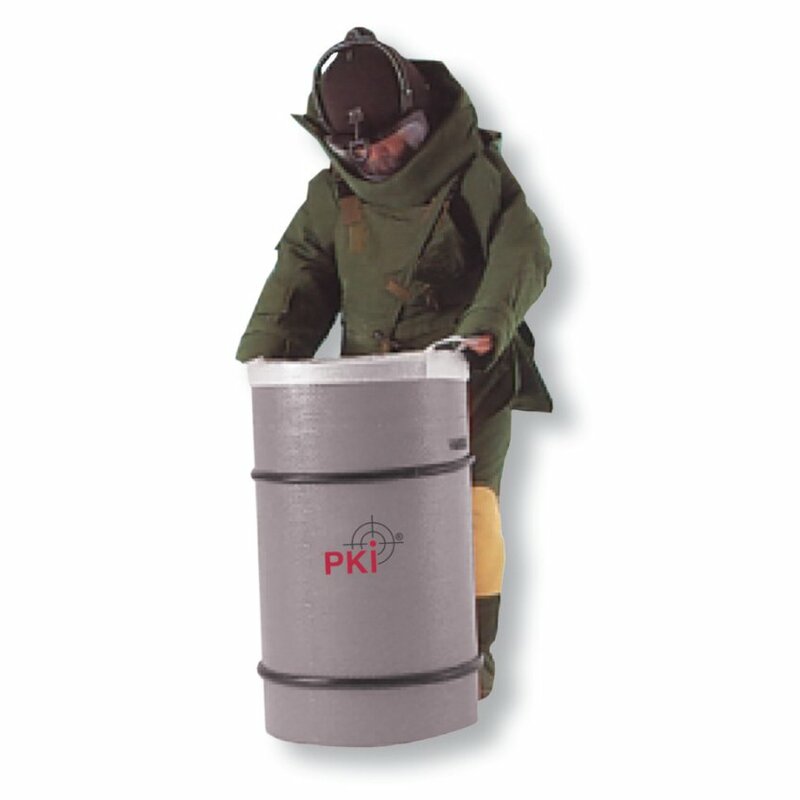 The PKI 9845 is made of special glass re-enforced plastic material with additional fire-resistant resin and it is large enough to accommodate a briefcase. Blast will be directed upwards and an explosion device of up to 0.5 kg can be absorbed. Most explosive devices that have been discovered so far did not contain more than 0.5 kg of explosive material.